“All creative people are empowered by an inheritance from the past, a gift that can only be repaid by dedicating a portion of our present labors toward the future.” – Created Commons, Lewis Hyde..
To reaffirm our commitment to this vibrant and historically significant multicultural neighborhood, Artists Alliance sponsors the Lower East Side Rotating Studio artist residency Program with artists chosen by a panel of outside artists, curators, and arts professionals. 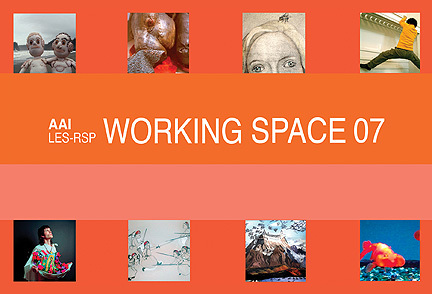 The artists selected are presented here in Working Space 07. Ernest Concepcion‘s ongoing series “The Line Wars”. convey his commitment to perpetually create anything imaginable engaged in conflict. The images are based on the entertainments of childhood and adolescence: video games, action figures, strategy board games- always two forces opposing one another. Each panel encapsulates a single battle. When viewed together, they take on epic proportions. “The Line Wars” is a celebration of making impulsive, nonchalant drawings, as well as a highly personal journey into nostalgia and an homage to geekdom. Dulce Pinzón has found inspiration for her photography in feelings of nostalgia, questions of identity, and political and cultural frustrations. Ms. Pinzón’s latest project “The Real Story of the Superheroes” comes full circle to reintroduce the Mexican immigrant in New York in a satirical documentary style featuring ordinary men and women in their work environment donning superhero garb, thus raising questions of both our definition of heroism and our ignorance of and indifference to the workforce that fuels our ever consuming economy.